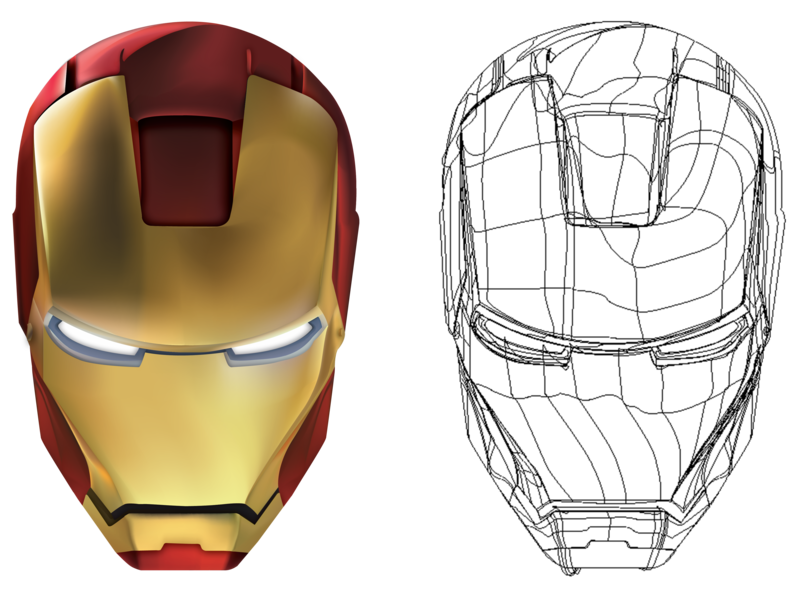 Ironman created in Adobe Illustrator by using the mesh tool. By using the mesh tool you can create reality-like and 3D looking objects. To the left you can see every outlined detail that was put in place to create this superhero.